This site is dedicated to the fly fisherman looking for information on fly fishing in Washington state, the Pacific Northwest, and Alaska. Also included in this site are various fly fishing articles that provide information on the species of fish that inhabit our waters. I hope you'll take some time to look through this site. In addition to the articles that I've written, I also provide nearly year-round guided fly fishing trips in Washington State for Steelhead, Salmon, and Sea-run Cutthroat trout. Whether you are a novice or an expert fly fisherman, I can customize an ideal fly-fishing experience for you. Whether you're looking to chase the elusive Pacific Steelhead or wanting to improve your casting, I am uniquely capable of helping your realize your potential. With the changing technologies, I've updated my website and to get the most of of this site, please make sure you have the latest Flash player and allow java scripts to run. Through the years I have guided in Oregon, Alaska, Southwest Washington, and the Olympic Peninsula. I've decided to focus my guiding on the Cowlitz river in Southwest Washington. My home is situated on the banks of this river. The Cowlitz river is within a relatively short drive from Portland, Oregon and from Seattle, Washington. If business or pleasure will bring you to the Pacific Northwest, I hope you’ll consider a day or two of guided fly fishing. Fly fishing isn't a sport that is learned in a day or two, it's learned over a lifetime. 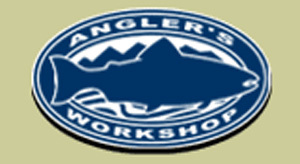 As someone who has spent hundreds of days per year fly fishing and guiding for many species in multiple states, I can help shorten your fly fishing learning curve. 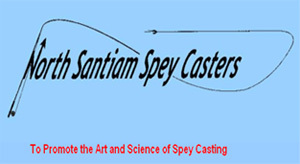 As an FFF (Federation of Fly Fishers) Two-Handed Certified Casting Instructor (THCI/Spey) and FFF Certified Single-Handed Certified Casting Instructor, I am uniquely capable of helping you on your spey fishing journey. 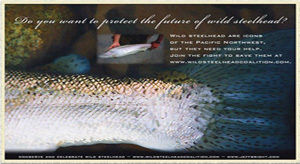 Spey casting and swinging flies is the classic method of fishing for such noble fish as Steelhead. A gift certificate makes a great gift for the holidays, birthdays, or for any special occasion. If you're interested in advertising on this site, please contact me for further information.